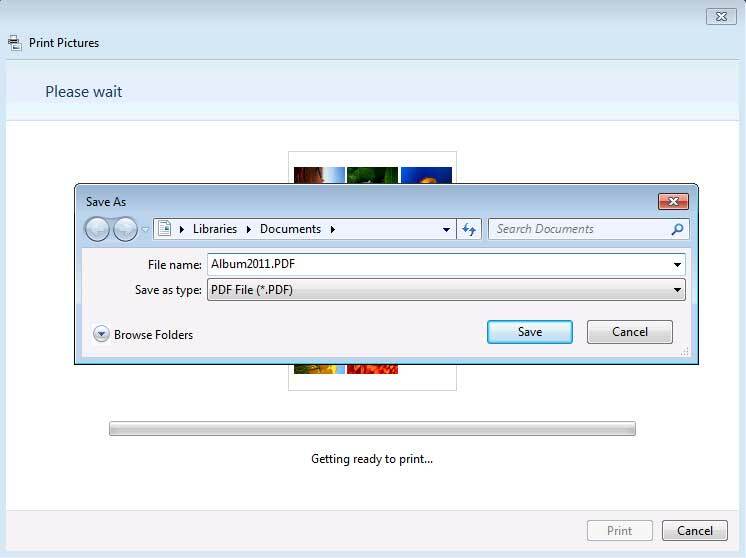 Download our freeware program JPG to PDF Converter (570 KB, Version 1.01) to convert JPG to PDF and JPEG to PDF in batch. 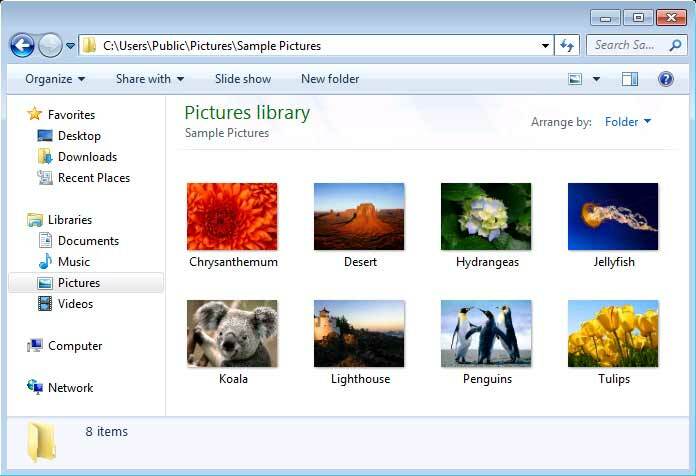 The software works with Microsoft Windows 7, Windows Vista, and Windows 8. 3. 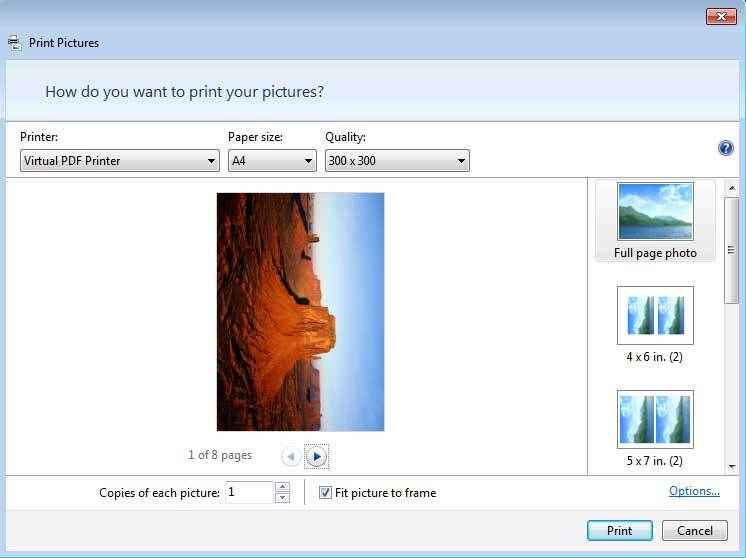 The following Print Wizard appears, and you will be prompted to choose a printer, paper size, and image quality. 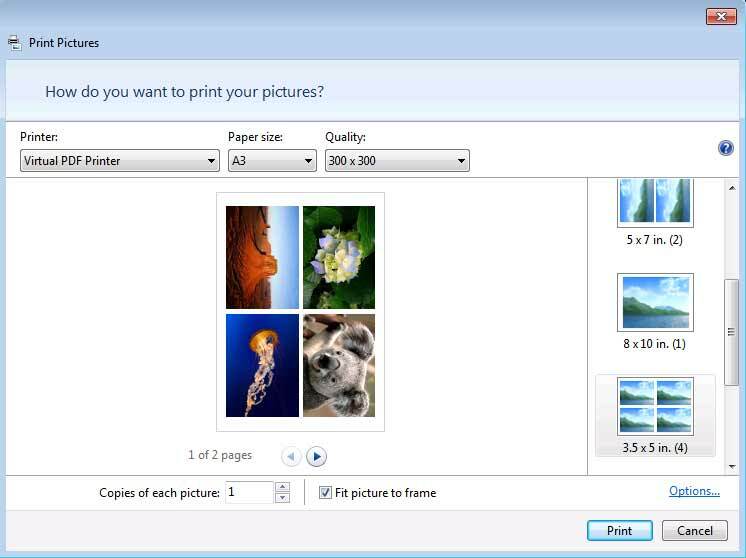 To convert your images to Adobe PDF, you are required to choose Virtual PDF Printer in the printer list. If you don't have the Virtual PDF Printer in your printer list,	download and install the Virtual PDF Printer software. 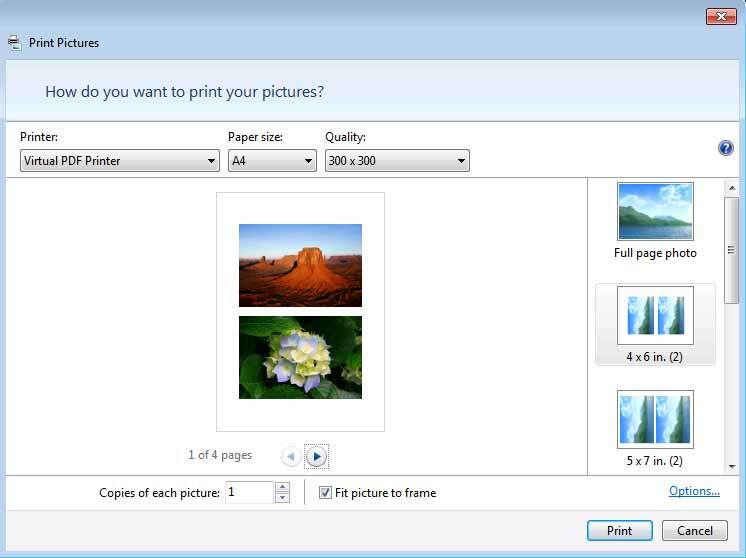 If you run Windows 7, it is suggested that you download the PDF Printer for Windows 7 software, and print to the PDF Printer to obtain better PDF's. 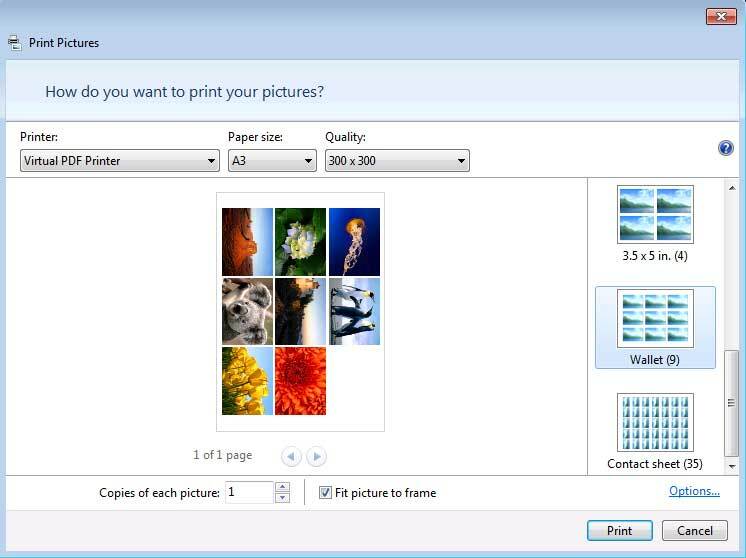 Windows 8 users need to download and install PDF Printer for Windows 8 software. 6. Here we specify the name of the output PDF to be Album2011.PDF, and the destination location is Library\Documents on Windows 7 and Windows 8. 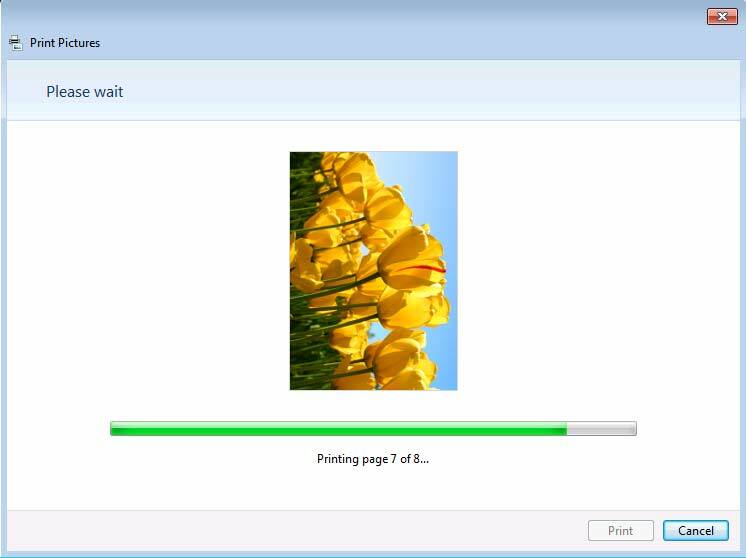 The Print Wizard starts the conversion of JPEG / JPG images to PDF now with a progress bar as the indicator. 4. 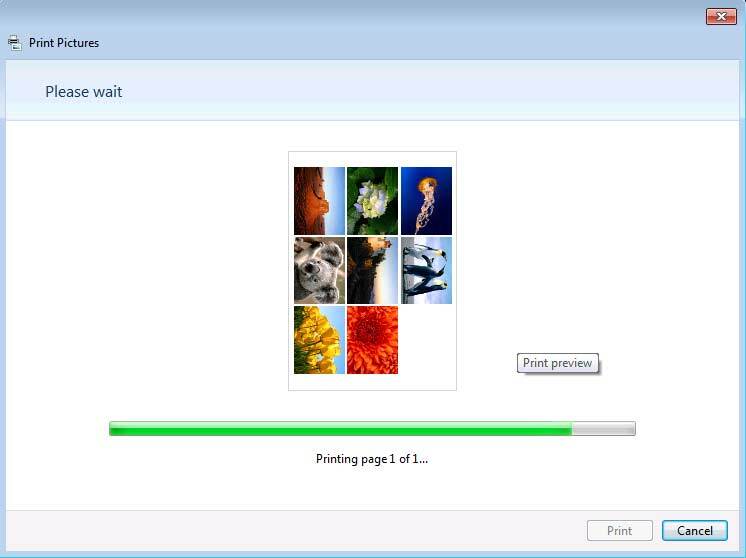 Select Printer "Virtual PDF Printer"
8. Congratulations! You have converted JPEG to PDF and/or JPG to PDF document now. NOTE: The above illustrates how to save pictures as a PDF, and the "Save As PDF" dialog might differ on Microsoft Windows 10. 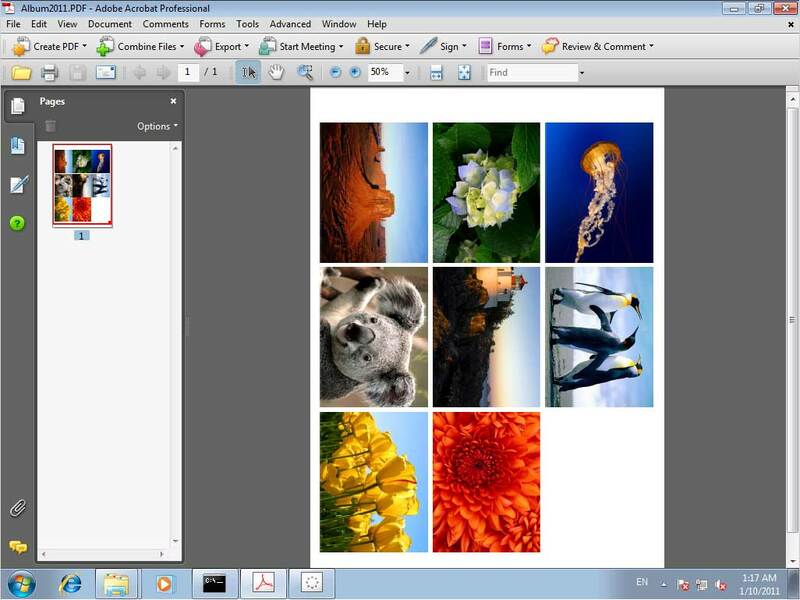 JPEG, JPG, JPE, J2K, and JPEG2000 format are supported by Virtual PDF Printer. The above instructions apply when you are to convert JPG to PDF on Microsoft Windows 10, Windows 8.1, Windows 8, Windows 7, Windows Server 2012, and Windows Server 2016. (64-bit and 32-bit).